We all know the saying "a picture is worth a thousand words," and that visual content makes our marketing even more impactful. We also know that "imitation is the sincerest form of flattery," so we were totally blushing when we heard about Facebook’s latest announcement. Not to be outdone by HubSpot’s awesome free stock photography giveaway, but Facebook does seem to be getting in on the free stock photo giveaway party. 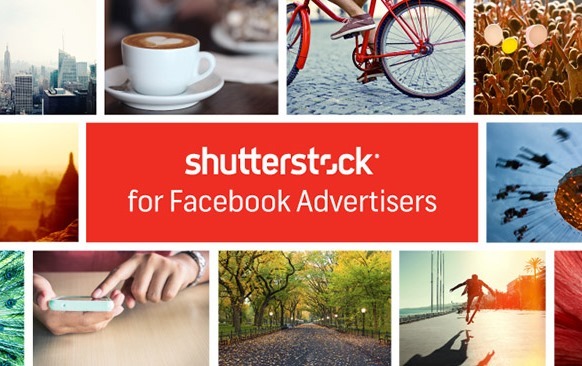 Yesterday, Facebook and Shutterstock announced a partnership that will provide Facebook advertisers access to over 25 million stock photos for free. Yup -- you read that correctly! This is amazing news for marketers because, let’s face it, ensuring we have 100% authority to use an image we find online can be expensive, stressful, and scary. This is especially exciting news when you consider that Facebook photos generate 53% more Likes, 104% more comments, and 84% more clicks than the average post. According to Facebook, "High-quality, engaging photos often increase the performance of ads, particularly in News Feed. And now, through our collaboration with Shutterstock, it will be easier for businesses to integrate beautiful photography into their Facebook ads." 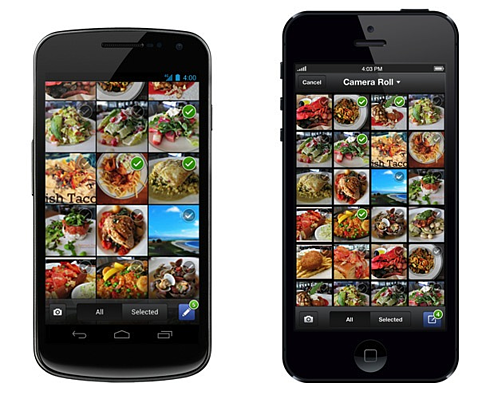 Images from Shutterstock are commercially licensed and free to use in all Facebook ad formats. In other words, Facebook advertisers can incorporate the available Shutterstock images into their ads at no additional cost. 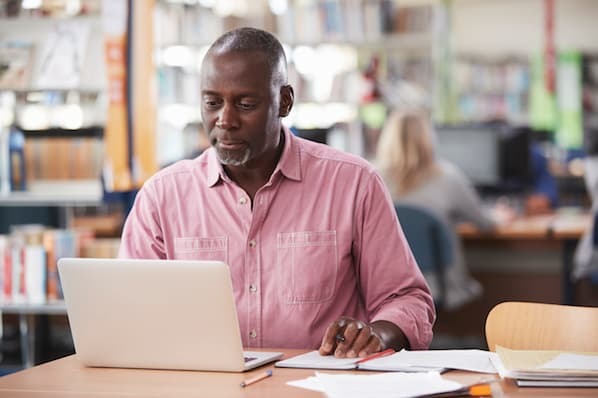 And because these images are available through Shutterstock’s API and search functionality, they are all easily searchable within the Facebook ad creation tool. Sounds like a pretty sweet deal, right? According to Facebook, the new feature will be rolled out over the coming weeks, so sit tight and stay tuned. Facebook is also making it easier for users to create multiple ads at the same time. 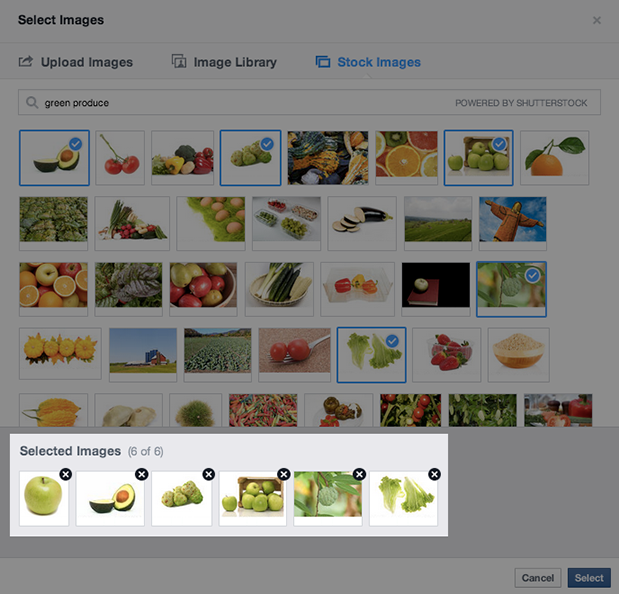 Using Facebook's new image uploader, advertisers can choose more than one image at a time, including users' own photos, visuals from previous ads, and professional stock images from Shutterstock. 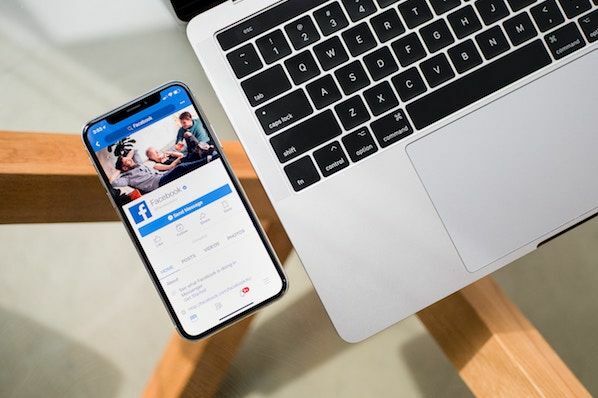 According to Facebook, this means users can now craft multiple ads with multiple images at a time for one campaign, meaning advertisers can test various images in their ads to improve their performance. Testing? Thanks Facebook -- we're drooling over here. Facebook indicates the ability to upload multiple images at once is already available to advertisers. Last but not least, Facebook has also made updates to its Android and iOS Pages Manager apps. Most notably, admins can now upload multiple photos for one post, make edits to current page admins, as well as add new admins to the pages they manage. In addition, admins now have the ability to tag people in comments and use Page Feed to stay updated about other relevant pages in Android; and they can now create new pages and events in iOS. What do you think about Facebook's new partnership with Shutterstock? 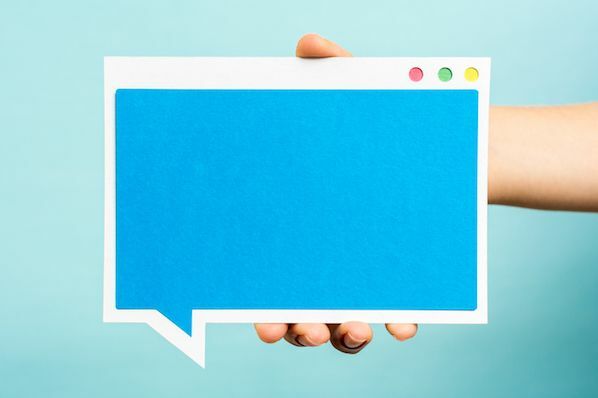 Will you use Shutterstock images in your Facebook ads?